Angular Unconformity, Collected Poems 1970-2014. Don McKay. Icehouse Poetry/Goose Lane Editions. Fredericton, New Brunswick. 2014. Angular Unconformity means a particular gap between two known strata of rock in a geological formation, at least that's what Milo, our head tech, came back with. It is the space that occurs between what we know for certain and what we want to believe is true. Today's book of poetry's personal adventure with the excellent poetry of Don McKay began over thirty years ago in a class on the "long-poem" taught by that Black Mountain/Tish poet Robert Hogg. It was in that class where I first read McKay's Long Sault. Far more importantly, Robert Hogg's class on the long-poem was where I met the joy of my life, my wife, K.
It was only a few short years ago that K and I were invited to an elaborate garden party/dinner/BBQ for an old friend who now lives in Newfoundland and Labrador. Turns out she brought Don McKay with her and I got a chance to meet him. More accurately, I wouldn't leave him alone until he talked to me. Since that time I have been lucky enough to share a couple of more meals with the esteemed Mr. McKay courtesy of my Scrabble friend Nurse Rachet. Don, one of the more humble people on the planet pretends that he is amused by me and I follow him around like a I'm a puppy and he has bacon in his pocket. We're not exactly buddies but he certainly is a friend. Long before I met him I wrote my undergraduate paper for the long-poem class on his Long Sault and I have admired his poetry ever since. In person he is nicer than you can imagine. unfettered, soaring in suspension of feeling. to be filled in with the right answer. Here was a rapids in the noose. Here was a field of fire hydrants waiting for a town. to whisper sibilant up to the waiting wharf. The river was about to swell. Its language was unlocked: Power & Prosperity, Development & Growth. its industries still smoking at both ends like cigars. McKay's Birding, or desire came out in 1983 and hit Today's book of poetry right on the chin, we were smitten. Tight, allegorical magic/music. McKay has built an unassailable reputation in Canada for his poetry, wait until you read his bio, but Today's book of poetry would be remiss if we didn't tell you all how often Don's name shows up in the back of other books of poetry, when they are giving thanks. Don's kind poetry hand has supported and encouraged an army of younger Canadian poets. it is a shining thing! moves we never thought of, never made. Today's book of poetry enters a Don McKay book with the certainty that with eyes and ears open we are about to be amazed. Angular Unconformity, Collected Poems 1970-2014 weighs in at a hefty fill your boots 584 pages and does not disappoint. It is a necessary treasure. We here at Today's book of poetry believe Mr. McKay still has a library of fine poems yet to write but this tome will bring you up to date. Today's book of poetry is always surprised by how McKay gives us access in his poems. The topography and subject range always vary but the emotional accessibility is a constant. The poems are always intelligent whip-quick, as though there were a built-in codex we all knew. between the deep sky and the ooze? This morning's office read was legendary. The Today's book of poetry offices were over-run with poet traffic this weekend. Poets Justin Million and Elisha Rubacha from Peterborough spent the weekend here on Dagmar. They are the heart and soul behind bird|buried press. They scoured the stacks and were able to find poetry to take home from our "extras" shelf. On Saturday Robert Hogg came by to say hello. You might remember Robert Hogg's fine books Heat Lightning, Of Light, Standing Back and There Is No Falling. I had Milo go back in the stacks and bring out some Robert Hogg material that wasn't signed. It's signed now. Today's book of poetry wouldn't want to put words in Robert Hogg's mouth but we both agreed that Michael Ondaatje might be the best Canadian poet. We also agreed that Don McKay was Canadian poetry royalty, although I'm sure Don would never see it that way. The visiting poet vibe was all over the office this morning and it showed in the reading. Mr. McKay would have enjoyed it - we certainly all enjoyed Angular Unconformity. Don McKay has published numerous books of poetry and several books of essays. The poetry has been recognized with a number of awards, including two Governor General’s Awards and the Griffin Poetry Prize. 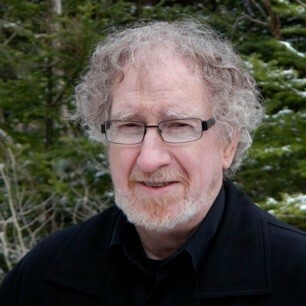 His most recent book of essays, The Shell of the Tortoise, received the Winterset Prize for Excellence in Newfoundland and Labrador Writing for 2011. Paradoxides, his most recent book of poems, winner of the E.J. Pratt Prize for Poetry, includes meditations on geology and deep time, while pursuing ongoing obsessions with birds and tools. He lives in St. John’s, Newfoundland. 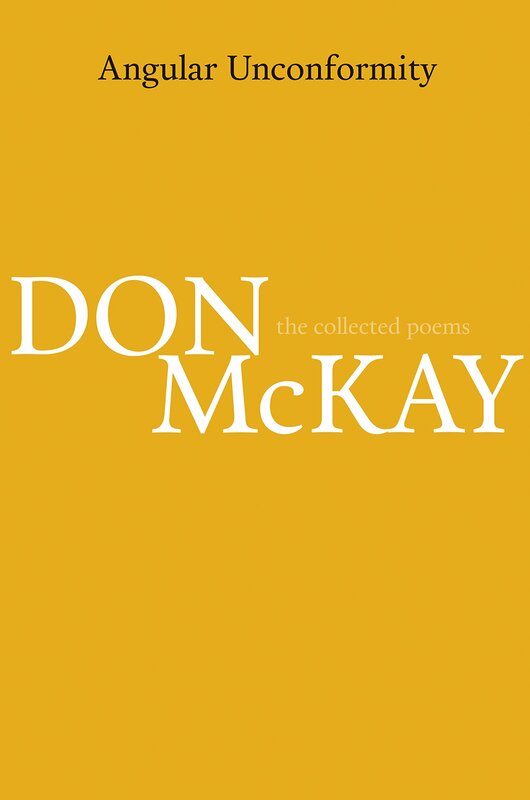 Poet Don McKay reads the poem "Sometimes a Voice" from Another Gravity, shortlisted for the 2001 Canadian Griffin Poetry Prize.